...And if I weep, let it be as a man who is longing for his home. Well, Rich, you have at last reached that home you have been longing for. How can I not be happy for you? Indeed, I rejoice that you have finally found that place of peace and rest you have been straining toward for so long. Yet I mourn. Not for you, but for me, and the thousands of other fans and friends who will miss your sweet voice. Who could ever take the place of you? and we are not the same. "our God is an awesome God." but it sure broke mine. Below are the lyrics to some of Rich's songs that have particularly blessed my life. And can I be with You? Then can I be with You? And what trouble are giants? What's wrong with bein' small? 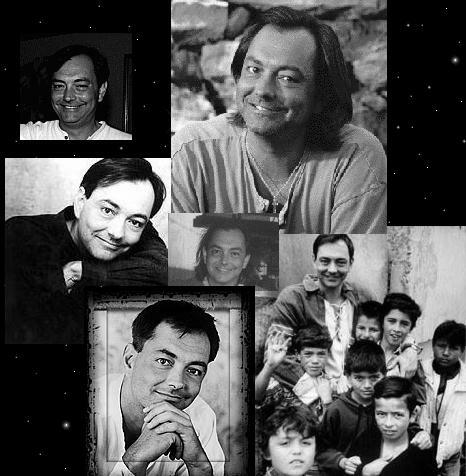 We thank You for the life and music of Rich Mullins. Be with his family and friends in this their time of grief. Help us to see the frailty of our own lives, and to strive, as he did, to serve you and praise you with our every breath. Through the grace of our Lord Jesus, we look forward to that day when we are all gathered home to be with You. Strengthen us, forgive us, and keep us ever in Your will, through the name of your Holy Son. 'Death is swallowed up in victory. O Death, where is your victory? O Death, where is your sting?' 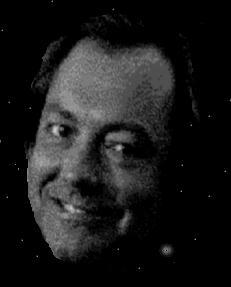 "
Thank you for visiting my little website.